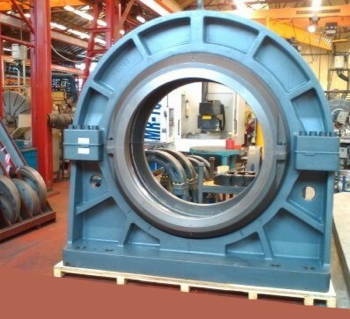 Cooper Roller Bearings, based in Norfolk in the UK, has received a ?4m investment from its parent, Kaydon Corporation, to expand its production of split roller bearings (SRBs). The investment will help Cooper – which claims to have invented the SRB – to produce larger bearings that handle higher levels of thrust, as well as cutting delivery times. Cooper employs 250 people and maintains a vertically integrated operation for both housings and bearings at its King’s Lynn headquarters, including design, casting, turning, grinding and finishing processes. It has been manufacturing SRBs for more than a century and its sales of large bearings (with diameters of 30cm and larger) have been growing by more than 25% a year in recent years.